The two Fallen Legion titles, Sins of the Empire and Rebellion of Flames, have always looked very interesting to me. I love that Valkyrie Profile style combat and I thought the artwork looked great. I was pretty stoked when NIS America said they would be bringing both titles to the Nintendo Switch in one package titled Fallen Legion: Rise to Glory. I jumped at the chance to check these out. Let’s see how this combined port came out! Since this game is actually two titles, the story will vary depending on which character you choose to play as. If you pick Legatus Laendur, a famous tactician that has fought on the frontlines for the Fenumian Empire, you will discover the reason the empire is crumbling within and set out on a quest to overthrow the royal family. 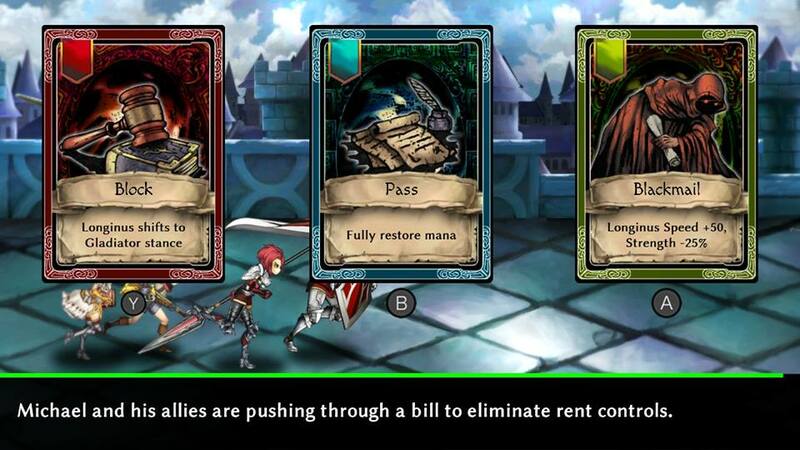 Your other option is Princess Cecille, a devoted princess that has a mysterious and somewhat rude grimoire with her. She is fighting against the rebellion led by Legatus. The question is will she have the courage to face not only the rebellion but other evils that threaten her crumbling empire? While I can’t really say either story breaks new ground, they are both interesting in their own ways. I think my biggest issue is they are a bit predictable. This isn’t necessarily a bad thing, but a few more twists wouldn’t have hurt anything. It will take you around 20 hours to complete each story, so in the end this a pretty robust package complete with extras not found in the other versions. These extras include new quests, extra characters, new modes, Japanese voice overs, cross over character support in new game+, one life mode and more. The combat and other gameplay elements are exactly the same as the previous releases so I’m going to briefly recap them for this review. 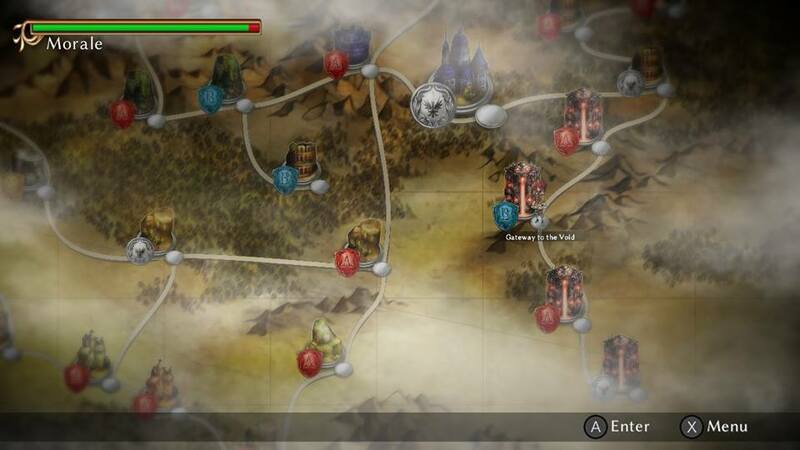 After selecting a location on the world map combat will begin. 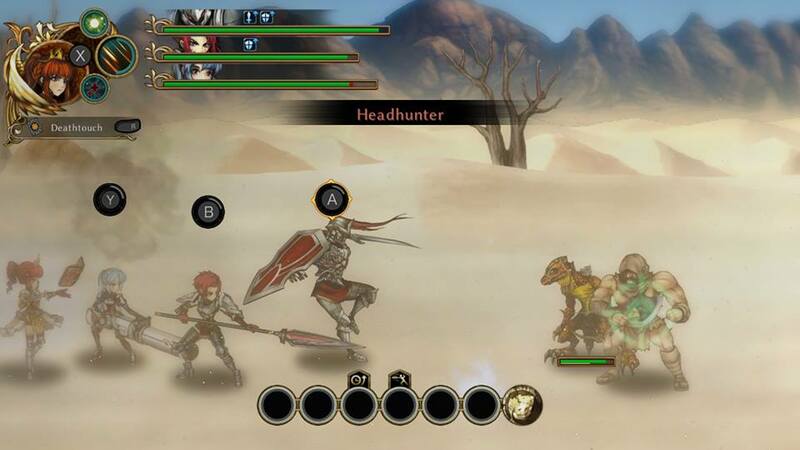 Combat there is very similar to games like Valkyrie Profile or Exist Archive. Each of your characters are assigned to a face button. When you press the buttons these characters will attack so long as they have enough AP. Alternating between them for attacks will give them time to build up AP. You can block with the L trigger at the top of the controller. Perfectly timed blocks will grant you extra AP and other effects depending on what kinds of gemstones you have equipped. When you see a blue flame on the combo bar at the bottom of the screen it means whichever party member attacks then will deal a powerful deathblow. These attacks can really turn the tide of battle and there is more than one to choose from for each combatant. Just be sure to choose wisely before entering battle. Legatus or Cecille will provide magical support during battle. They can heal, bring back fallen allies, or unleash some attack magic. These spells will charge as you inflict damage on your enemies and will save your bacon more times than you’ll easily be able to count. During battle you will be faced with choices on how to run the empire or rebellion depending on which character you choose. These decisions will not only have an impact on your current battle by providing helpful perks and artifacts, but they will shape the world itself. Certain choices can open new story routes or unlock other hidden secrets. I personally thought this was a really interesting feature. It made me feel like I was playing a good game of D&D. This covers all the basic ins and outs of the game, but if you like more details you can check out Henry’s review of the PlayStation 4 version. I have to say Fallen Legion: Rise to Glory is a blast to play. The combat is fast and fun, the artwork is amazing, and the music is top notch. The only real complaints I have is the framerate in the final boss battle takes a major hit. This makes blocking a real pain. I felt the story dragged on a little bit towards the end of both routes. This isn’t a huge issue but it really felt like they were being padded out when it wasn’t needed. The extra modes and searching for the hidden characters add a bit more playtime to this pretty robust package, so I feel it’s well worth the $39.99 price. If you have this on other platforms there may not be enough new stuff here to warrant a second purchase, but if you are huge fan or love turn based RPGs, this is definitely one to pick up.